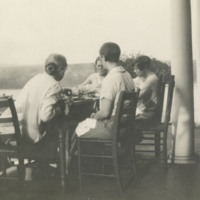 Faculty and students seated at table and enjoy a meal together. 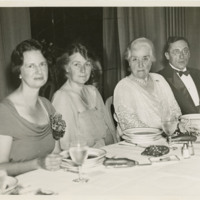 Photo of M. Carey Thomas with 3 unidentified people. She is seated 2nd from the right at a dinner table with the other guests, a soup bowl situated by each diner.